What you put on your body should be as good as what you put in it. All you will find here is of the highest quality, Canadian made, and sustainably sourced products curated for a healthy body and a healthy life. ​From the western edge of the beautiful British Columbian rainforest, this small Tofino company creates incredible body care and bath products--and is currently the only company we carry (and use) at Waygood Manual Osteopathy! 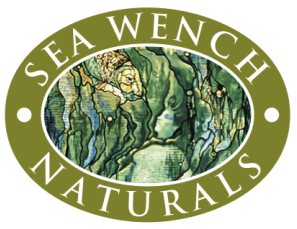 Inspired by the earth and the sea, Sea Wench Naturals boasts and prides itself on an unmatched list of both quality and quantity ingredients--without any filler, sulfates, parabens, fragrances or detergents!